Iowa Democrats pulled off an impressive and important victory in a Southeast Iowa special election this evening, boosting the party’s hopes that 2018 could be a bounce-back year. Democratic veterinarian Phil Miller of Fairfield comfortably defeated Republican farmer Travis Harris of Davis County, 4,021 to 3,324 (about 55% to 45%), thanks largely to a massive victory in his hometown of Jefferson County. That means Democrats will hold on to a key rural swing district that Donald Trump won in November by 22 points. Miller will fill out the remainder of Curt Hanson’s term in the Iowa House for District 82, which includes Jefferson, Davis and Van Buren counties. Hanson passed away in mid-June, who himself won the seat in a 2009 special election. 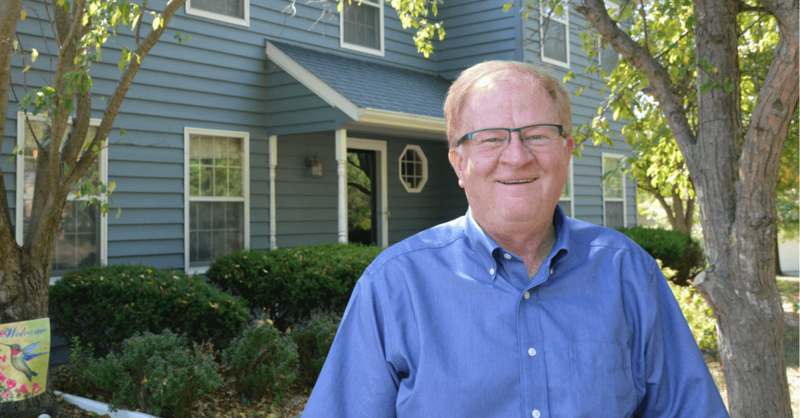 He was one of the few Democrats to still represent a rural district in the Iowa Legislature, and today’s special election was seen as an important test for whether local Democratic candidates could still win in Trump-leaning areas of the state. Although voter registration numbers are relatively even in District 82 – 6,611 registered Republicans to 6,257 registered Democrats – Trump defeated Hillary Clinton here 57.8% to 36.4%. That was a big swing from Barack Obama’s victory over Mitt Romney here in 2012, 49.7% to 47.9%, and emblematic of the new Republican advantage in Southeast Iowa. Many Iowa political observers have wondered if this trend was permanent, or if strong, local Democratic candidates could still prevail. Miller was about as ideal of a candidate as you could hope for in this race: a well-known community leader who locals trusted from his work as a large and small-animal veterinarian. But Republicans ran an intensely negative campaign on TV, attacking Miller for his vote on the Fairfield School Board to keep a policy on transgender bathrooms in place. 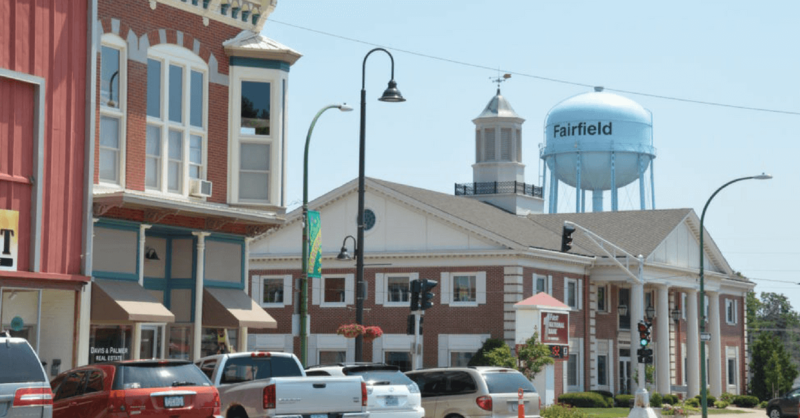 The ordeal was a huge local controversy in Fairfield for most of 2016, and Republicans whipped up the anti-transgender sentiment despite a recent transgender teen’s suicide in June. 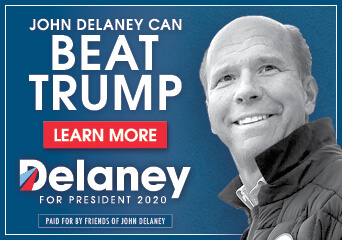 While cultural issues like that may have contributed to Trump’s victory in Iowa in 2016, the Republican Party here had not been so brazen in their advertising on issues like bathrooms in the past. Many LGBTQ advocates worried that had the Republican candidate been successful tonight, it would give the GOP incentive to push for anti-transgender policies at the Statehouse next session and run on that issue in 2018. Instead, many Republican political consultants and party leaders may now second-guess whether that’s a winning issue to run on. Miller won a massive victory in Jefferson County, where the controversy burned the hottest, racking up a margin far larger than Hanson’s there in 2009. Democrats’ success in District 82 won’t do much to change the balance of power in the Iowa House: Republicans will maintain their 59-41 advantage there. But a loss could have had a chilling effect on Democrats’ recruiting efforts for other must-win districts in 2018. It could have signaled that the voting trends in Republicans’ favor in Iowa for the past several cycles was locked in, and that Democrats shouldn’t expect that to change anytime soon. 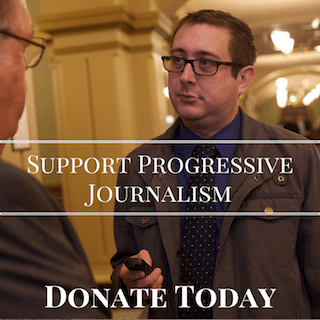 Now the party can encourage its activists, donors and potential candidates that things might be starting to turn around, and that Iowa isn’t headed to a permanent status as a red state. Thanks to Iowa’s nonpartisan redistricting laws, Iowa legislative districts are drawn in a fair way that ensures competitive races in many areas of the state. Miller won this evening thanks in large part to a strong absentee ballot effort run by the House Democrats’ campaign operation. Miller received 1,886 absentee ballot votes in Jefferson County to Harris’ 376 there. 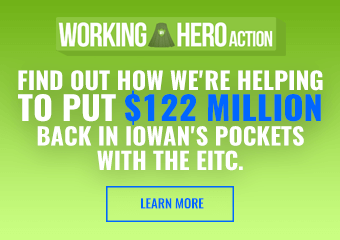 Democrats have often relied on an extensive early voting effort to secure victories in Iowa, however, this will be one of the last major races to use the current voting laws. Republicans passed a voter I.D. bill this session that also cuts down on the number of days people can vote early. Most of those restrictions don’t go into effect until the 2018 general election, and could hamper Democrats’ ability to turn out their base next year. The biggest focus for the 2018 election is the high-stakes gubernatorial race, which many Democrats see as do-or-die for the future viability of the party. But taking back the Iowa House also remains a possibility, especially if they can recreate more wins like today’s in a district dominated by Trump less than a year ago. This still proves Democrats actively working at early voting and extensive get out the vote efforts give us a win. Congrats to all those who worked in Fairfield and District 82 to win this for the Democrats. It’s a good boost for our efforts to come in 2018! “Republicans ran an intensely negative campaign on TV” – Republicans in a nutshell. Bravo Mr. Miller..PEOPLE, IF WE WANT TO RECLAIM ALL THE DEMOCRATE SEATS, YOU HAVE TO GO TO VOTE…ALL OF US…NO EXCEPTION!! I strongly agree. Congrats. Moving ip, and forward. Voting is a job to take seriously. I strongly agree. Congrats. Moving up and forward. Anybody know when was the last time the Republicans held this district? Did the Dhimmicrats just work really hard to hang on to a traditionally Dhimmicrat district that went for Trump, and are now claiming this as a great victory? Hasn’t this seat been held by the Dhimmi’s since 2009? Oh, the wit! The unbridled WIT! So the Democrats actually hold on to a Democrat seat…..EARTHSHAKING! Please provide a Trump/Clinton comparison in the final “by county” chart. I wonder about Davis and Van Buren… were there any significant changes, statistically?